List Rules Vote up your favorite Maze Runner: The Death Cure movie quotes! 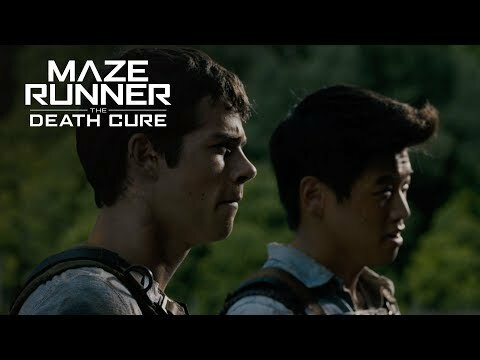 Maze Runner: The Death Cure movie quotes help bring the action to the third film in the Maze Runner series. Wes Ball wrote the film using a screenplay T.S. Nowlin adapted from the book of the same name by James Dashner. Maze Runner: The Death Cure opened theatrically, including in IMAX, on January 26, 2018. 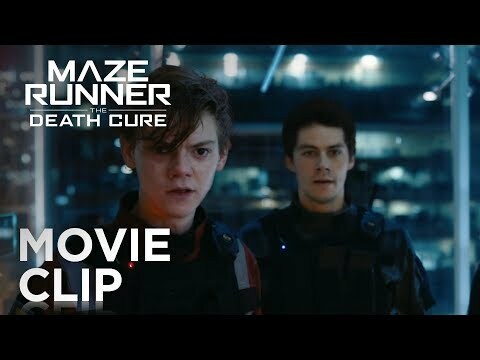 In Maze Runner: The Death Cure, the Gladers crew of Thomas (Dylan O'Brien), Newt (Thomas Brodie-Sangster) and Frypan (Dexter Darden) head out on a mission to rescue friend Minho (Ki Hong Lee) from the WCKD headquarters. Minho, like other Gladers, are immune to the deadly plague spreading across the world and was taken by WCKD for use as a test subject for finding a cure to the plague. So the crew heads to the Last City where Teresa (Kaya Scodelario), Janson (Aidan Gillen) and Ava Paige (Patricia Clarkson) are waiting for them. Thomas and Teresa have more than a few conversations about her allegiance and the morality of using humans as test subjects. But while Thomas is still torn between his love for Teresa and his feeling that WCKD is probably evil but might be good, Ava Paige gives him the ultimate choice. Thomas can either save his friends from WCKD or allow the testing to continue and (hopefully) save all of mankind. 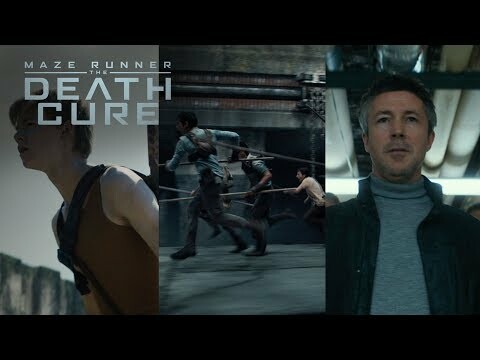 Maze Runner: The Death Cure joined theaters in winter 2017-18 when other great movies were showing such as Father Figures, The Florida Project, Mudbound, and Battle of the Sexes. Thomas: There’s no guarantee we make it back from this. Newt: Well we started this together, may as well end it that way too. Both Thomas and Newt know that the mission they're about to begin is a dangerous one and death could be one possible outcome. But as Newt mentions in these Maze Runner: The Death Cure movie quotes, they've been ride or die since the beginning and no need to change now. Teresa: The world is dying. If we find a cure that’s the only way this was worth it. While others may argue is Teresa is a good guy or a bad one, she's confident that the work she's doing is necessary to save humanity. Then again, she also admits in this Maze Runner: The Death Cure movie quote that unless they find a cure, what they've done towards finding the cure might not be justified. Thomas: They’ll never stop until we can stop them. In dialogue true to just about any action film, Thomas proclaims that saving the world is up to him and his team. It's cliche, sure, but a necessary part of any kind of movie like this one. When the Hell Does It Stop? Thomas: How many kids do they have to round up, torture, kill? When the hell does it stop? Teresa: It stops when we find a cure. Thomas and Teresa have yet another argument about the morals of using kids as test subjects to find a cure for the plague. It's like a broken record at this point.